What a difference a month makes: Just a few weeks ago, Cigna rejected Anthem as a suitor, citing things like the major data breach the company suffered earlier this year and turning down its $47 billion merger bid. 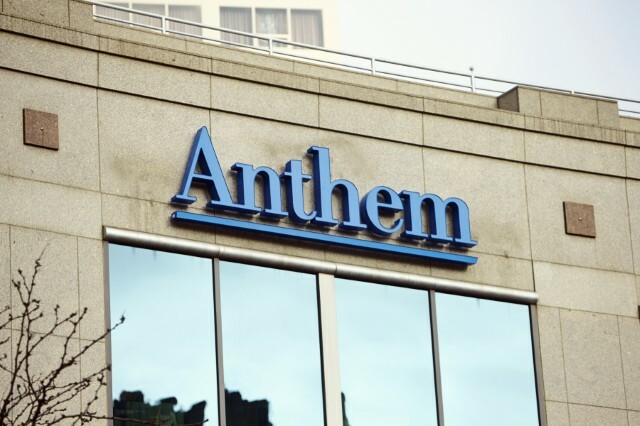 It seems Anthem has been busy a-courtin’, as the company announced this morning that it’s reached a deal to buy Cigna for $54 billion, effectively creating an insurance giant. It’s the latest move by insurers looking to carve out a big chunk of the market for themselves through mergers — Aetna has also been in the buying mood lately, snapping up rival Humana early in July. Cigna had flirting with Humana for a bit as well, before rekindling talks with Anthem. Now, Anthem says it’s buying Cigna in a deal worth $54 billion (including debt) that will create the nation’s largest health insurer by enrollment, with about 53 million U.S. patients falling under that umbrella, reports the Associated Press. If the deal goes through, health care in the United States will be transformed, with five of the biggest health insurance companies morphing into just three, including UnitedHealth Group. The mergers come at a time when insurers are figuring out the national health care overhaul under the Affordable Care Act. Mergers are good for these companies because larger insurers can hold more sway and negotiating power when settling on rates with care providers. But because what’s good for for-profit companies isn’t always good for consumers, these two mega deals still need to pass muster with antitrust regulators, to make sure that the insurers don’t grow so big that they can dominate the market. Consumers won’t feel any effects from the mergers for at least a year, as companies have already set most of their plans for coverage that begins in January. Mergers could lead to fewer choices and some price changes for consumers, of course, which will depend on where they live and which companies already offer plans in their market. The Wall Street Journal pointed out earlier in July when Aetna announced its merger with Humana that antitrust regulators were ready to look closely at any combinations among the biggest health insurers. According to WSJ analysis, the Aetna-Humana merger will increase the number of U.S. counties where at least 75% of Medicare Advantage customers are in the hands of a single insurer by about 180. Anthem’s merger with Cigna will mean the company has a much broader base over which to spread costs and expenses, a point the company focused on in its first bid for Cigna in June. It’ll also allow it to make technology investments over the industry’s biggest customer pool. At this point the deal is slated to close in the second half of 2016; Cigna stockholders have to approve the agreement first, and Anthem shareholders will have to approve the issuance of shares in the transaction: Cigna stockholders will receive $103.40 per share in cash and 0.5152 shares of Anthem stock for each of their shares. Cigna’s President and CEO David Cordani will serve as president and chief operation officer of the new combined business, while Anthem’s Joseph Swedish will be chairman and CEO.